This change to the rules of the Senate weakens the minority party's ability to filibuster legislation by imposing much tighter restrictions on debate time on bills. The ability of either party to slow down consideration of a bill or nomination was a feature granted to the Senate intentionally by our founders, providing the opportunity for legislation to be exhaustively debated before being passed into law. This rules change is a major blow to that important tradition. Key Vote 2: S.Amdt. 4 to H.R. 152 - To reduce annually appropriated spending by .49% across the board. This amendment, sponsored by Senator Mike Lee (UT), would offset the cost of the emergency spending in the Disaster Relief Act over time by making a .49% across-the board cut to discretionary spending. Such a minor spending cut in order to offset a large amount of deficit spending should be an easy call given the current $16.4 trillion national debt. This amendment would require that, upon reaching the debt limit, the Treasury would prioritize military pay, Social Security obligations, and payments of interest on the national debt. This would prevent the executive branch from making the claim that reaching the debt ceiling would prevent Social Security checks from being sent, since the government incurs enough revenue to meet these obligations without borrowing. This amendment would effectively defund ObamaCare by tying its funding to economic growth reaching historical average levels. Defunding ObamaCare would reduce ten-year spending by over $1 trillion and would go a long way towards reducing our government's massive annual deficits. This budget amendment was a proxy vote for the Marketplace Fairness Act, which would allow states to band together to collect taxes on internet sales from citizens of other states. This type of internet sales tax scheme violates the physical presence standard of tax collection and would place an undue compliance burden upon online retailers. This amendment would make federal education dollars under No Child Left Behind portable so that lower-income parents could use that money towards sending their child to another school. This would be a good first step towards offering parents true choice in their children's education. This amendment to the Senate's budget resolution would call for the outright elimination of the estate tax (better known as the "death tax"). The death tax is absolutely unjust because it taxes assets that have already been taxed before, and it punishes those who have saved their money over a lifetime to pass on to the next generation. This tax is particularly devastating to small businesses and family farms. This is Senator Rand Paul's budget plan, which would balance in five years, eliminate four Cabinet departments, replace the current tax code with a flat tax, and fundamentally reform all major entitlement programs. This amendment would prevent taxpayer resources from being used to automatically deduct union dues from the paychecks of unionized federal employees. Federal workers, most of whom have never had the opportunity to vote on whether or not they wish to be unionized, ought to be able to decide if they wish to pay dues to their unions. Much of the collected dues are used for union political activities, which a given employee may or may not agree with. This is the Senate Democrats' budget plan, which raises taxes by nearly $1 trillion while using budget gimmicks to claim $1.8 trillion in spending cuts. In reality, the budget never achieves balance and actually increases spending in the first year, while failing to address the primary drivers of government spending - entitlements - at all. This bill allows states to collect taxes on internet sales from businesses in other states. This violates the physical presence standard that has governed tax collection since our founding, and raises constitutional issues about businesses being forced to bear the expense of complying with tax collection for states in which they have no representation. This bill would fund the Departments of Transportation and Housing & Urban Development (and related agencies) for Fiscal Year 2014. Besides doing nothing to reform the large amount of wasteful spending contained in both departments to begin with, this bill actually increases spending for the departments to pre-sequestration levels. This is part of the broader Democratic strategy to eliminate the only real spending cuts that have been achieved since 2010. Senator Mike Lee solicited signers on a letter to Senator Harry Reid, which declared that the signers would not vote for any appropriations bill, including a Continuing Resolution (CR), that contained further funding for ObamaCare's implementation or enforcement. The letter put senators on the record committing to actually defunding ObamaCare using a must-pass bill (the CR), rather than just taking another symbolic vote on an amendment that the Democrats could easily defeat. This is the crucial vote to end debate on the Continuing Resolution (CR) to fund the federal government while ending funding for ObamaCare. Voting for cloture would allow Senate Democrats to resume funding ObamaCare with a straight party-line vote, meaning that a 'yea' vote here is a vote to fund ObamaCare, with the law's first starting date just days away. H.R. 2775 was used as the vehicle for the Continuing Resolution (CR) to fund the federal government. This bill funds the government fully (including ObamaCare) through January 15th of 2014, suspends the debt ceiling until February of 2014, and obliges both chambers of Congress to go to conference on a full-year budget. In other words, this CR allows for more uncontrolled spending and debt, with no reforms to either, does nothing to address ObamaCare, and potentially promises more future spending if a budget agreement is reached. This is the final vote of a complicated Senate parliamentary procedure often referred to as the "Nuclear Option", used the allow the Senate's rules to be changed using only a simple majority vote. Majority Leader Harry Reid used this procedure to allow all executive nominations (except Supreme Court nominees) to pass without a cloture vote, meaning that he only needs 51 votes instead of 60. This is a massive blow to the rights of the minority party in the Senate, and sets a dangerous precedent of tyrannical majority rule in a Senate that has traditionally prized the rights of every Senator and party to have their full say. Key Vote 1: S.Amdt. 1472 to S.Amdt. 1470 to S. 2038 - To prohibit earmarks. Sen. Toomey's amendment to the STOCK Act would eliminate the corrupting practice of earmarks in the Senate. Key Vote 2: S.Amdt.1473 to S.Amdt. 1470 to S. 2038 - To prevent the creation of duplicative and overlapping Federal programs. Sen. Coburn's amendment to the STOCK Act would prevent duplicative and overlapping government programs. This amendment to the federal highway spending bill would reduce the federal government’s role in transportation funding by giving states direct control of their shares of the transportation funds. This amendment would eliminate many energy tax subsidies, which distort the market by picking winners and losers in the energy industry. In addition this amendment would lower the U.S. corporate tax rate, which is currently the highest in the industrialized world and is one of the major reasons that many companies choose to locate their operations elsewhere. 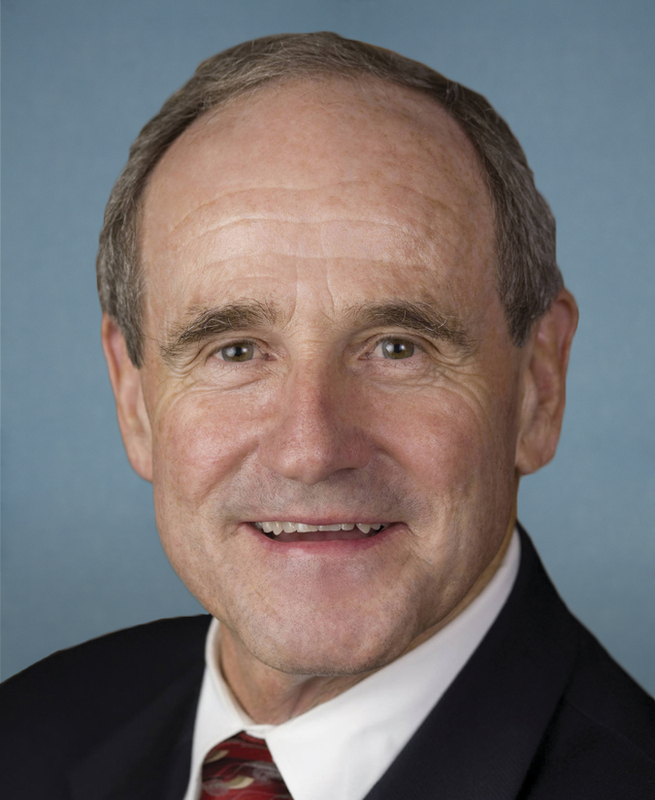 Key Vote 5: On Cloture: S.Amdt. 1836 to H.R. 3606 - To reauthorize the Export-Import Bank of the United States. This amendment would reauthorize the Export-Import Bank (Ex-Im bank), which is scheduled to expire at the end of May. The Export-Import Bank takes money from American taxpayers to subsidize exports by politically powerful American companies. The Ex-Im Bank embodies corporate welfare; it is a prime example of crony capitalism that has hurt economic growth. Key Vote 6: S.Amdt. 2025 to S. 1789 - To end the mailbox use monopoly. Currently, the inside of your mailbox is legally the property of the U.S. Postal Service. This amendment would end the USPS monopoly on your mailbox, which means that other companies could provide the poorly-run USPS with competition in the delivery of first-class mail. Key Vote 7: S.Amdt. 2028 to S. 1789 - To establish a pilot program to test alternative methods for the delivery of postal services. This amendment introduced by Sen. Rand Paul would have established a pilot program to allow alternative programs to compete with the U.S. Postal Service on a local level. This is Senator Toomey's 2013 budget plan, which would balance the budget within eight years and save more than $5 trillion over the next ten years. It would also repeal ObamaCare, block grant Medicaid to the states, and cut individual and corporate taxes. This is Senator Rand Paul's budget proposal for fiscal year 2013, which would balance the budget in five year and save over $8 trillion over ten years. This proposal, which closely resembles the one presented by the Tea Party Debt Commission in 2011, would also repeal ObamaCare, block grant Medicaid and other entitlement programs, and reform both Medicare and Social Security. It would also eliminate the Departments of Energy, Education, Housing and Urban Development, and Commerce, repeal Dodd-Frank, expand energy exploration, and privatize the TSA. In short, this is the single boldest and most effective free-market economic proposal to receive a vote in Congress. Key Vote 10: On the Motion to Proceed: S.Con.Res. 44 - Setting forth the budget for fiscal year 2013. This resolution would have invoked the Congressional Review Act to stop the implementation of the Environmental Protection Agency's Utility MACT rule. Utility MACT is among the most devastating environmental regulations ever passed, as it would make it nearly impossible for new coal-fired power plants to be built and is already putting existing plants out of business. Making America's cheapest, most abundant energy resource difficult to use will greatly increase energy costs for all Americans, and during an economic downturn when they can least afford it. This amendment would terminate the Troubled Asset Relief Program, the $700 billion taxpayer-funded bailout to big banks and corporations. H.R. 4691 would extend a number of programs that are scheduled to expire and ought to be allowed to do so. This includes further extending the already much-extended time limits on unemployment insurance and the wasteful American Recovery and Reinvestment Act stimulus funds. None of the billions of dollars in new spending in this bill is offset by reductions anywhere else in the budget. This amendment would ban the corrupting practice of earmarks in the Senate for the next fiscal year. Although they account for a very small percentage of overall spending, earmarks are used by appropriators to buy lawmakers' votes for much larger and more consequential bills. This spending bill would raise taxes, increase regulations, and crush job growth. H.R. 4872 makes the terrible health care legislation recently enacted even worse by adding even more job killing tax hikes, harsher penalties, and new government bureaucracies. It also nationalizes the student loan industry, allowing the federal government to further manipulate and inflate the cost of higher education. (Note: this is the initial Dodd-Frank Wall Street regulatory bill, eventually passed as H.R. 4173.) This amendment would replace the previous language of the bill with a new bill to create a massive new framework of regulations on the financial sector. This legislation does little to restore responsibility but instead chooses to absolve the big players on Wall Street from responsibility for their role in the financial meltdown by codifying their access to taxpayer-funded bailouts. This was another procedural vote to attempt to uphold a point of order against the Dodd-Frank Wall Street reform bill and its institutionalized bailouts for firms deemed "too big to fail". This bill appropriates funding for use in disaster assistance for the earthquake in Haiti, and for the Deepwater Horizon Oil Spill relief effort in the Gulf, along with a number of smaller, unrelated items. But all of the spending in this bill is designated as "emergency spending", meaning that it is not paid for and therefore adds to our already tremendous national debt. A joint resolution disapproving a rule submitted by the Environmental Protection Agency relating to their endangerment finding that aims to allow the EPA to enforce a massive crackdown on all greenhouse gas emissions. The regulations that the EPA is considering based upon this finding would cause irreparable damage to the energy sector and our economy at large by sharply increasing the cost of all energy. This is the vote to end debate on the Dodd-Frank Wall Street Reform bill, which includes a massive new regulatory regime for financial markets that promises more government intrusion and has the potential to leave taxpayers on the hook for bad decisions made on Wall Street. Worse still, the bill does little to address the underlying causes of the financial crisis. The final vote on Dodd-Frank. This rather technical procedural vote would have required language preventing an increase in the estate tax from being included in the bill. The "death tax" taxes income that has already been tax multiple times beforehand, and penalizes individuals who choose to save their money responsibly, or who wish to pass along their farm or small business to another generation of the family. Motion to Concur in the House Amdt. to the Senate Amdt. to H.R. 4213 with Amdt. No. 4425, As Amended; A bill to amend the Internal Revenue Code of 1986 to extend certain expiring provisions, and for other purposes. The DISCLOSE Act amends the Federal Election Campaign Act of 1971 (FECA) to prohibit independent expenditures and payments for electioneering communications by government contractors if the value of the contract is at least $10 million. It is a clear violation of free speech and would likely have a chilling effect on political discourse. This amendment to the FAA Air Transportation Modernization and Safety Improvement Act would reauthorize the Federal Aviation Administration. This would add to the national debt. The Small Business Jobs Act of 2010 would allocate $30 billion from the Troubled Asset Relief Program to a new fund for financial institutions with less than $10 billion in assets. This would add to the national debt and not create jobs. The DISCLOSE Act is a clear violation of free speech and would likely have a chilling effect on political discourse. This amendment would change the enactment date. The so-called Middle Class Tax Relief fails to extend the 2001 and 2003 tax cuts to all Americans. Key Vote 23: On the Cloture Motion: S.Amdt. 4728 to H.R. 4853 - Of a perfecting nature. This would hike taxes and add to the national debt. Key Vote 2: On the Motion: S.Amdt.168 to H.R. 1 - To stop implementation of the stimulus spending. This amendment would attempt to stop implementation of the stimulus spending. Deficit spending is out of control and is not capable of bringing the United States out of the recession. Any control over stimulus spending would be welcome. The Ensign/McConnell “Fix Housing First” amendment would offer government backed fixed mortgages at 4% to “any credit worthy” borrower either to purchase a new home or refinance. This plan, which reportedly could cost as much as $200 billion dollars, is a flagrant misuse of taxpayer funds and in essence creates a new housing entitlement fund. This amendment's cost violates the pay-as-you-go requirements of the Budget Act, so a point of order was raised against the amendment. The vote being scored would waive that point of order and allow the amendment to proceed to a vote on final passage. This amendment, sponsored by Senator DeMint, would prevent the Federal Communications Commission from implementing the fairness doctrine. The fairness doctrine would violate freedom of speech and represents an overreach of government power. The budget taxes too much, spends too much, and borrows too much. And, potentially worst of all, it would open the door for socialized medicine and a massive energy tax to be enacted later this year without substantial debate through the reconciliation process. The Food and Drug Administration would grant certain authority to the Food and Drug administration to regulate tobacco products. The FDA should not be given the power to regulate tobacco. This is the vote on the final passage of ObamaCare. The Patient Protection and Affordable Care Act neither protects patients nor provides affordable care. It would kill jobs, drive up the price of health care, bankrupt the government, and ruin the world's best health care system. The bill also contains an individual mandate, which forces everyone to either purchase health care or pay a penalty, violating our individual liberty.